Find all information about our amazing apps. The easy way to find good places around you to have a drink! With the Augmented Reality (AR) functionality! 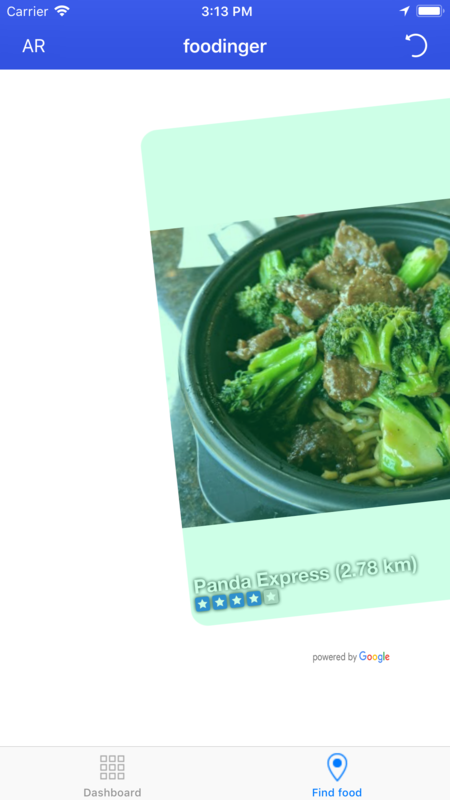 The easy way to find good places to eat! 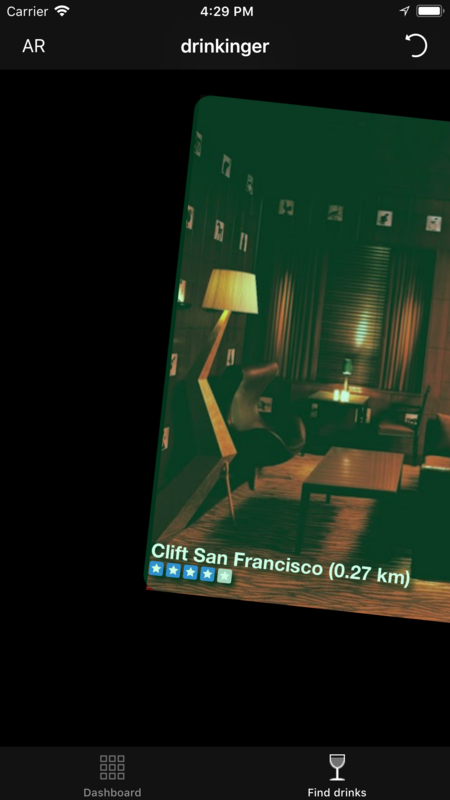 With the Augmented Reality (AR) functionality! The emergency apps are your essential companion all over the world (ENGLISH version). The emergency apps are your essential companion all over the world (GERMAN version). 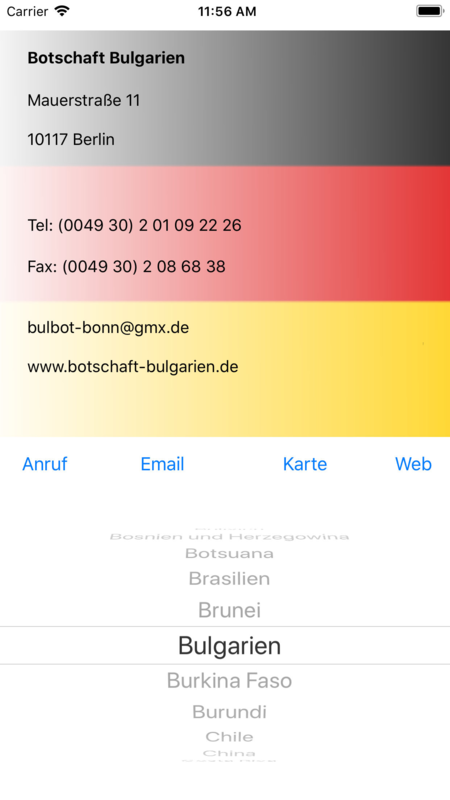 All embassies& consulates of Germany worldwide in one app. Find your next Embassy or Consulate. 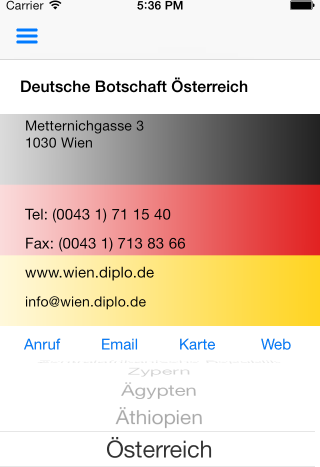 All embassies of Germany, Austria and Switzerland worldwide in one app. Find your next Embassy. 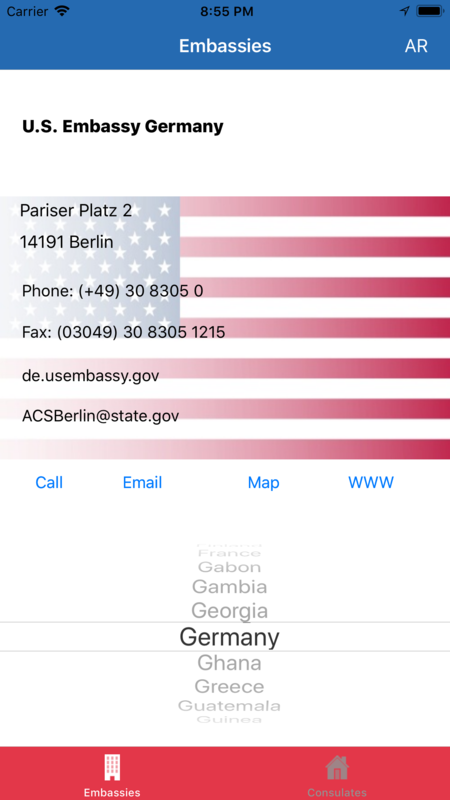 All USA embassies and consulates worldwide in one app. Find your next embassy or consulate. 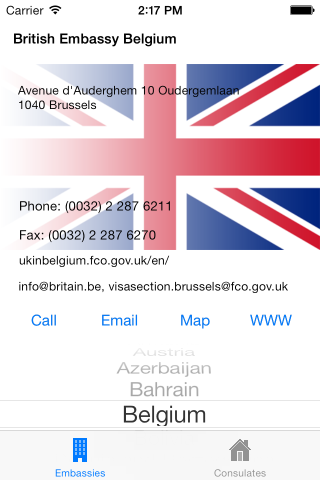 All UK embassies and consulates worldwide in one app. 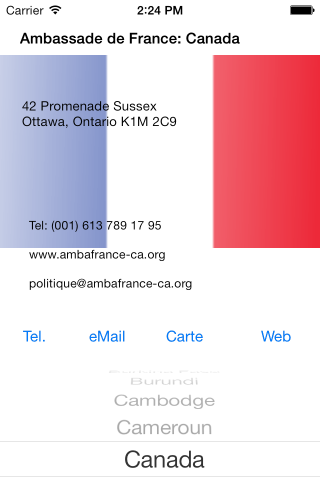 All embassies of the France worldwide in one app. Find your next France Embassy. 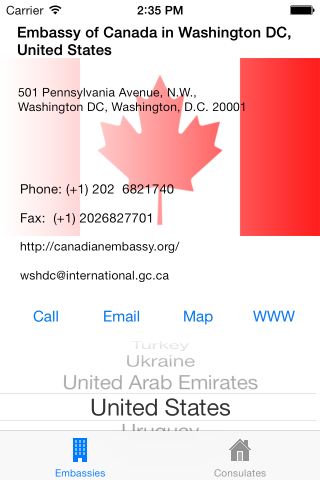 All Canadian embassies and consulates worldwide in one app. All foreign embassies in Germany. If you come from abroad to visit Germany you can find your embassy when needed. Taxi! SOS! 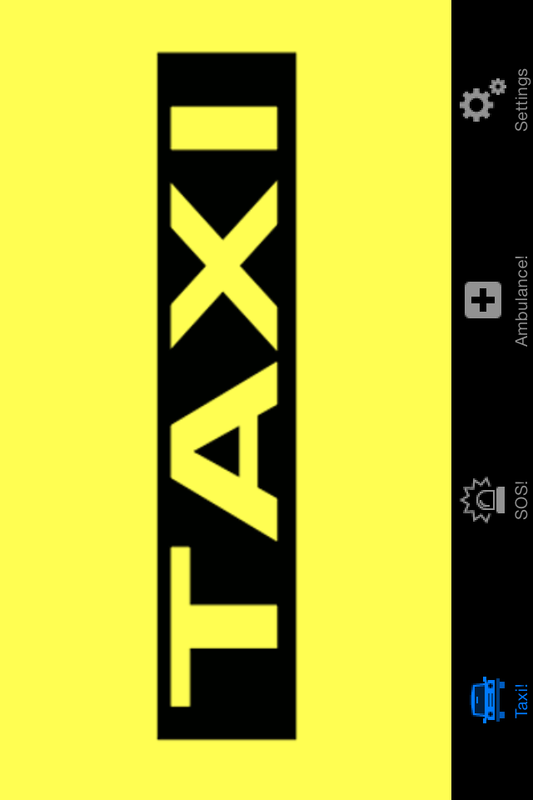 is a needful app if you are looking for a Taxi or need help. It is easy to use. unicose.com brings all the benefits and variety of modern applications into your phone. Our apps supporting you day by day with necessary information or trying to help you in dangerous situations. Our prime goal is to provide our users with high quality and extensive content of our apps. The positive feedback worldwide to our apps is a good proof that we are on the right way! 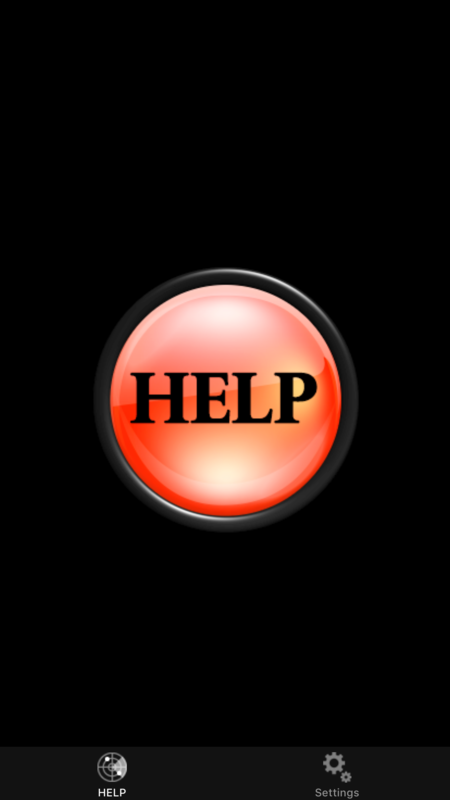 If you need support for any of the applications please do not hesitate to contact support@unicose.com. Please use the same address to send comments or suggestions about the applications. If you can think of an additional feature for one of the applications you bought or got for free in our occasional "happy hours", you are also kindly invited to propose it. We will implement it if it can be done with reasonable effort. 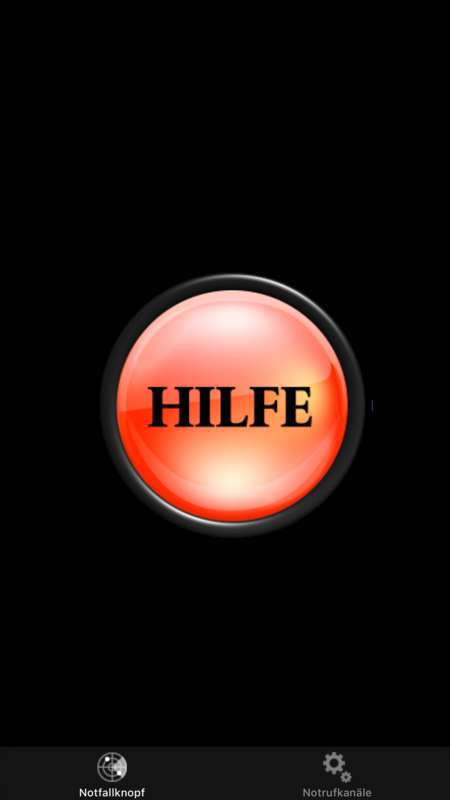 Wenn Sie Hilfe oder Informationen zu den Applikationen benötigen, wenden Sie sich bitte an support(at)unicose.com. Sie können an dieselbe Adresse auch gerne Hinweise oder Verbesserungsvorschläge schicken. Wenn Ihnen noch Funktionen einfallen, die eine der Applikationen haben sollte, die Sie gekauft oder in einer unserer gelegentlichen "Happy Hours" kostenlos bekommen haben, sind Sie herzlich eingeladen, dies vorzuschlagen. Wir werden die Funktion implementieren, wenn es mit vernünftigem Aufwand möglich ist. Si usted necesita ayuda o más informaciones sobre las aplicaciones, dirígese, por favor, a support(at)unicose.com. Usted puede escribirnos también comentarios o proposiciones a la misma dirección. Si usted piensa en unos funciones más que faltan en una aplicación que usted ha comprado&nbsp; o recibido gratis en una de nosotras "happy hours" occasionales, le invitamos que nos las proponga. Vamos a implementarlas si es possible con un esfuerzo razonable. Si vous désirez du support ou des informations sur les aplications, contactez s´il vous plaît support@unicose.com. Vous pouvez écrire a la même adresse pour faire des commentaires ou propositions. S´il y a des fonctions qui vous manque dans une aplication que vous avez achetée ou reçu gratuite pendant une de nos "happy hours", vous êtes invité cordialement de les proposer. On va les implémenter, si c´est possible avec un effort raisonnable. © 2014-2018 by unicose.com. All rights reserved.